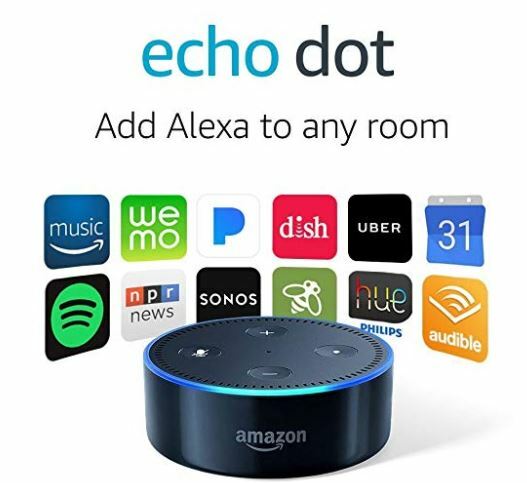 Hurry over to get the Echo Dot (2nd Generation) – Smart speaker with Alexa on sale for $19.99 Shipped (Retail $39.99)! -Call or message family and friends hands-free, or drop in from the Alexa App to your Echo device. -Controls lights, locks, thermostats, and more with compatible connected devices. -50,000+ skills, including Jeopardy!, Lyft, Audible, and Domino's. Always getting smarter and adding new features.